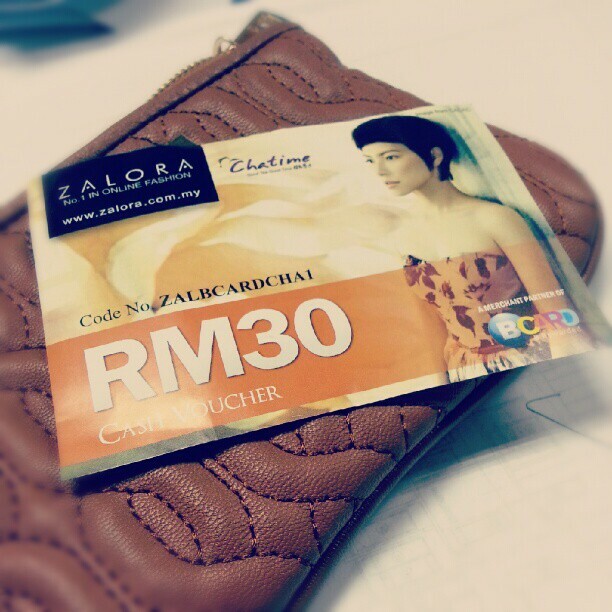 I’m sure most of you especially the ladies heard of ZALORA’s advertisement through radio and tv. 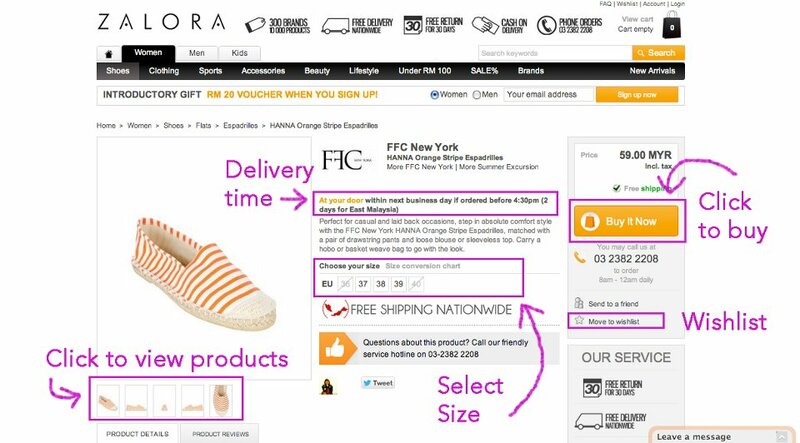 Zalora is an online fashion shopping mall and they offer free delivery. Does their advertising manage to tempt you to buy anything from their online store? I do purchase online goods. But mostly are clothes and accessories. I’ve never tried purchasing any shoe online. I was afraid the size does not fit well for my feet. Though the measurements, length size were given.. but our feet width may varies too. Then I have some friends whom purchased few pairs of shoes from Zalora, are quite satisfied with their goods. Follow steps below to make your purchase. 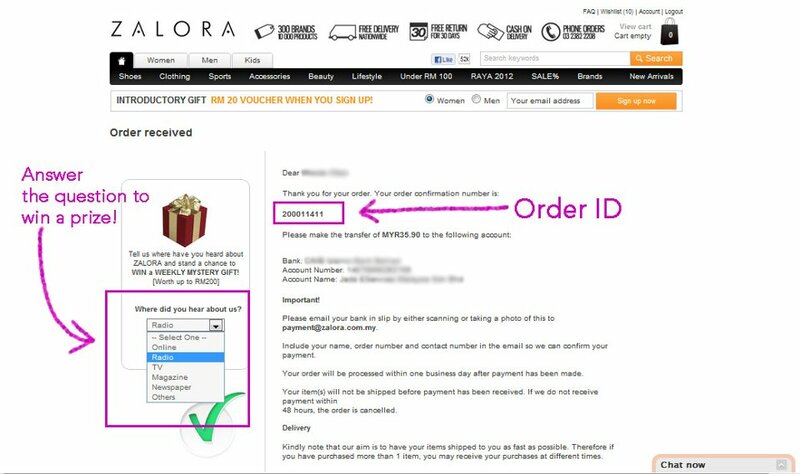 (require to register an account before proceed) – steps are given by Zalora FB page. STEP 1 – After selecting your desired product, select size and proceed with clicking the “Buy it now” button. Remember, the estimated delivery time is stated on each product page. STEP 2 – In the order list page, you may view all the products you have selected. For those using coupon codes, fill in the code and click “Use”. Once you’ve finalized your purchases, click “Checkout” to go to the “Checkout” page. STEP 3 – Add your billing address and delivery address in the space provided under customer information. Next, choose your desired payment method. You will be directed to another landing page depending on the payment method you opt for. For those who opt for Cash on delivery, you may have to select the time and date you wish your package to arrive. You still have a second chance to enter the discount coupon code again here. STEP 4 – Once the order is placed, you’ll see an “Order Received” page with details of your order including your Order Confirmation Number, along with other information. You will also receive an order confirmation letter in your email. Here, the products you have purchased will be listed, along with your Order ID and estimated delivery time. Then I continue browsing their website and I found this. I thought it may be suitable for me to wear to work. So, at the end of the day..I bought 2 pairs of shoes. I was wondering..how come 1 but not 2? So, I waited for the parcel. Delivered to my office. True enough only 1 pair. Therefore I made a phone call to Zalora to inquire about it. Only then I was told the black heel is ‘out of stock’. Aiyooo…should have at least call and inform me lor…I then ask them to resolve the matter that I’ve paid for the shoe. She apologized and promised to email me the store credit of equivalent amount (RM32.90) valid for 1 year. And I’ve received it the next day. Parcel arrived in good condition. A return slip just in case your shoe has defect or you want to change the size. I thought of pairing this pair of sock with the shoe. But I see the color doesn’t match lah. That gives me a good reason to buy another pair of sock. hehe…BTW..I got this pair of sock from Daiso for just RM5. 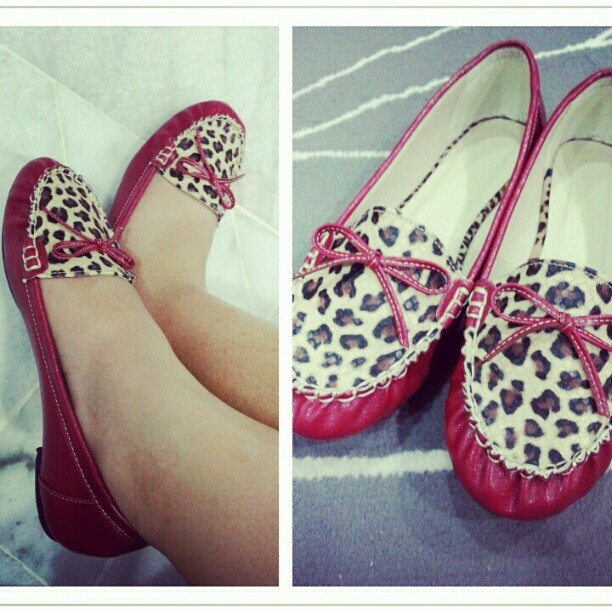 wah leopard skin shoes .. grrr grrr grrr? ehh…that’s a new pair of sock le! SP – u recover from your sick edi la? Thank goodness my missus doesn’t shop online. Hehehehehehe!!!! i haven’t bought anything from them, but my friend did. she’s happy with the items! Constance Ant – ya…the ad is everywhere…luckily now not so frequent as beginning time. I saw Nose shoes, do they cheaper if buy at Zalora? Choi Yen – Yawor…got Nose brand. 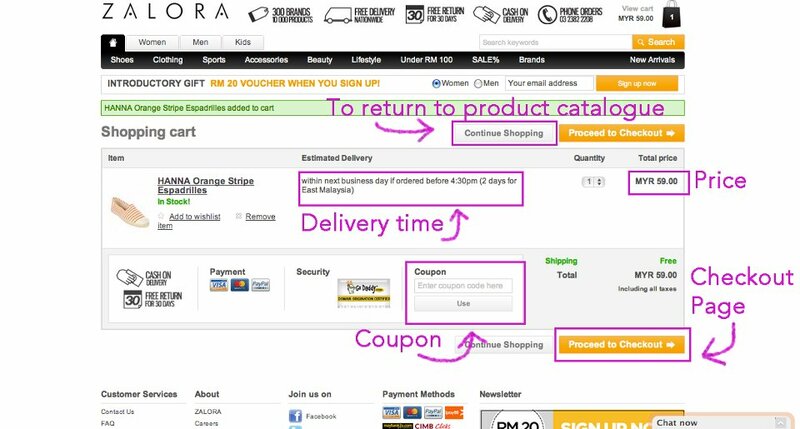 Hmm….I don’t think its cheaper..
Then came zalora . Its hard to avoid them. Ads on the radio. Loyalty with bcard (seen at borders, starbucks, etc.). Today in email, hsbc cardholders get 15% off on zalora. Almost every other google ad that I see happens to be from zalora. I love that shoes…don’t remember seeing them when I browsed them last week. Hehehe. Gonna check them out again NOW! missyblurkit – u too love it? did you manage to get it? Available in other colors too. I am back to order another set of 3 pairs of these wool socks. My husband LOVES them! They are very comfortable and fit well. 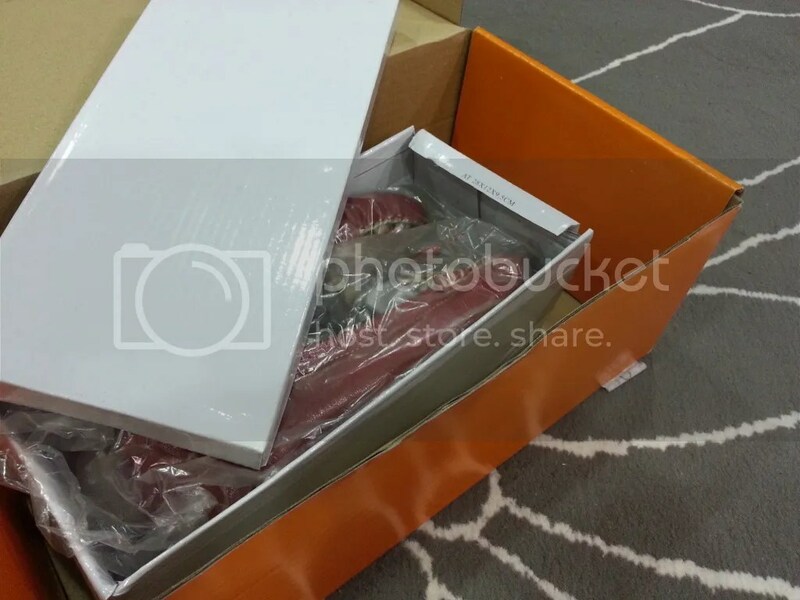 Have you received your shoes? Guess , on safer side…I better stick to the same brand! i was thinking to buy shoes from Zalora, but then the sizes are really worrying. i was usually size 39 when i buy shoes. 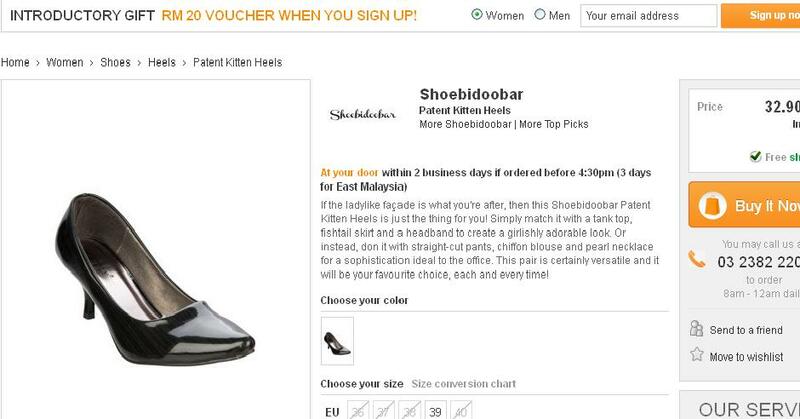 But at Zalora, when i measure my feet it shockingly gives size 35.5 (or 36)! is it really true size? what's your size by the way? I’m sorry that I couldn’t remember what size I’ve bought. I felt that the shoe sizes differ according to brand type. What payment method should I choose when I purchase using voucher? Select the item that you planned to purchase, then click “add to bag”, click “checkout”. On the “pay and confirm” screen…most right side, there is a part written “Have a gift card or promo code? Enter it here “. Click that tab and enter your voucher code. After entering the voucher code, click “Apply” to view the balance payment. 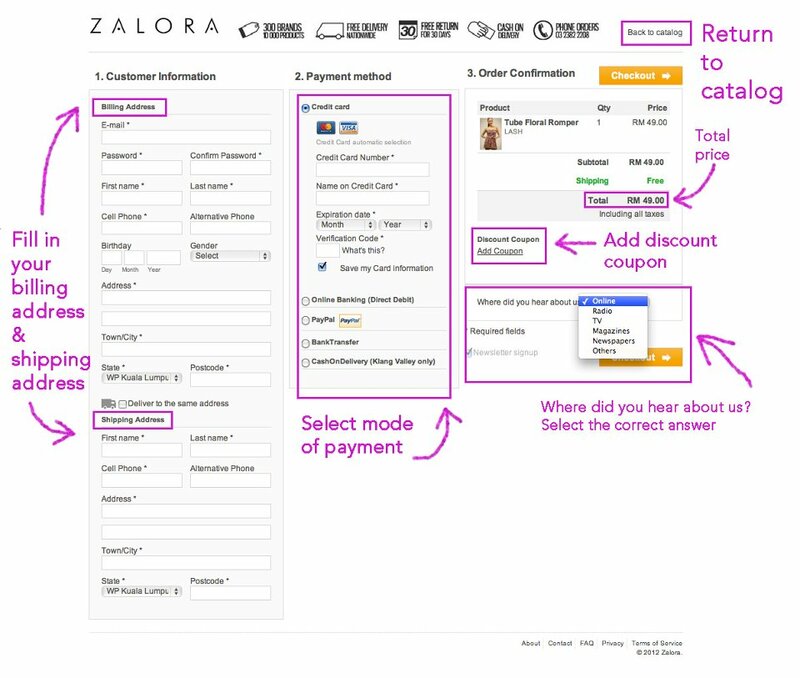 do you have any idea on how to change payment method on Zalora’s website? 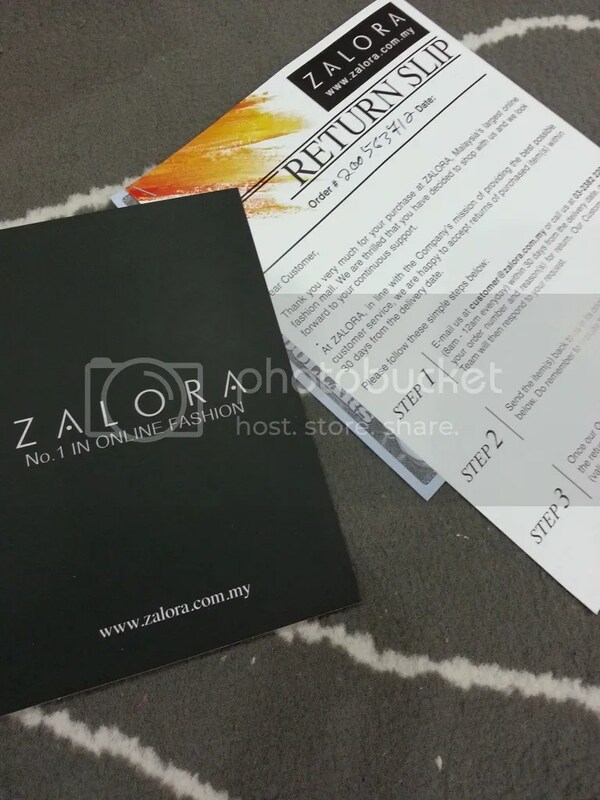 Thank you for sharing information about ZALORA . Keep posting amazing article like this…..
Nice article about shoes. Thanks for the information.